What if a place existed where you could find a holiday gift for both your hard-to-please aunt and crafty brother-in-law? A true one-stop shop full of unique, local and crowd-pleasing items to make your holiday shopping a breeze? Well, we may be biased, but we think Cardinal Spirits is that place. What never goes out of style? Spirits. And great news: our 3-pack gift box is customizable! Choose from our Vodka, Tiki Rum, Standard Dry Gin, Bramble, Songbird Coffee Liqueur and Songbird Flora, all in 375ml bottles — that's half the size of our regular bottles. Need some inspiration? Check out the My Perfect 3-Pack series on the blog. We've put together a beautiful collection of 40+ cocktail recipes from Indiana bartenders using Cardinal Spirits. It's organized by season, with easy, medium and challenging recipes. 85 pages of pretty pictures and delicious cocktails: perfect. Gift cards: the true hero of the holiday season. Ours are available starting at $10, and they are easier than wrapping a cocktail. Gift cards can be used toward cocktails, bottles, food, tours and merchandise at the distillery. Holiday bonus: For every $100 purchased in gift cards, you'll receive a bonus gift card worth $20. It's like we always say: You can never have too many flasks. That's why they make such great gifts. We have 3 types with our logo: a little metal guy with a clip for backpacks, a leather-wrapped one and a cool porthole style. A great gift especially when paired with a bottle of our spirits. These eccentric whiskey glasses were discovered by our friend David Hill of the Malt Guild. After years of research in Scotland with the best Scotch distillers in the world, he found this glass (a Turkish design) to best express the nose and taste of a fine whiskey. This liqueur is the gift that keeps on giving. 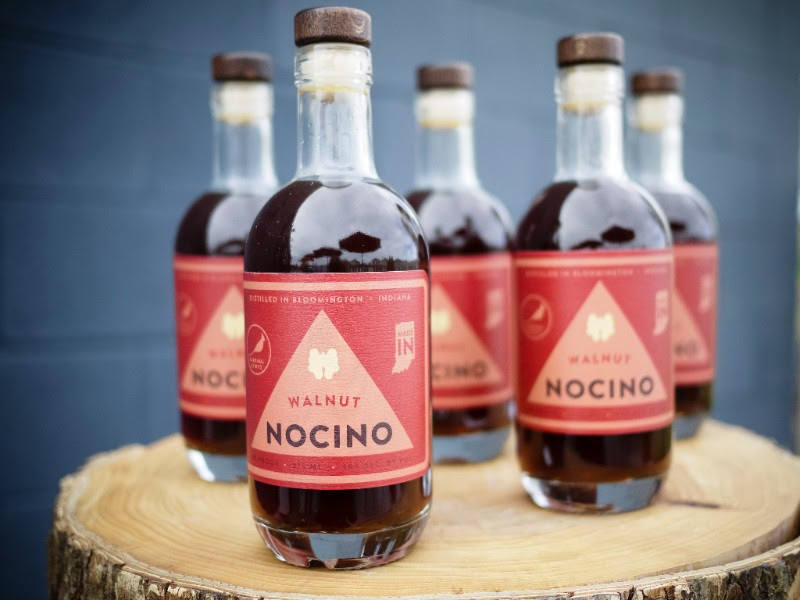 Warm, spicy and nutty, Nocino tastes like the holidays. This liqueur is a traditional Italian liqueur made with green, unripe walnuts. For our version, we harvested walnuts right here in Indiana, then combined them with our vodka and spices, and let that steep for months. The result: A luscious, mellow, earthy elixir. Local, unique and delicious. Do we hear "favorite child?" We thought so. HAPPY HOLIDAYS FROM CARDINAL SPIRITS!